Whether you’re interested in developing a Health, Safety or Environmental career from scratch, or building upon existing training and qualifications, knowing where to begin in SHE and what to do next can seem frustratingly opaque. With a burgeoning number of routes and qualifications available in the field you’d be forgiven for feeling lost at first glance, however at SHEilds we pride ourselves on providing accessibility; breaking down complex options into clear choices and professional routes. 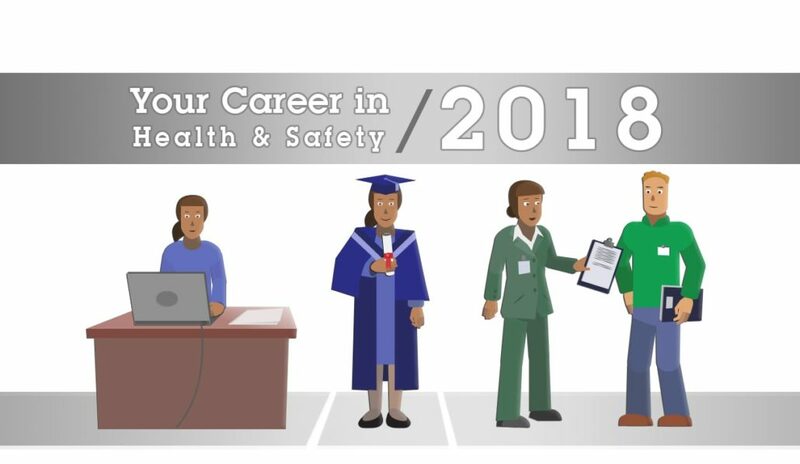 Your career in Health and Safety for 2018 is waiting to happen, so without further ado here are the most common questions with straightforward answers to get the most from SHEilds e-Learning. Which qualification level is right for you? Assessing which qualification level is right for you is important to ensure you get the most from your course, complementing your goals and ensuring they are reasonably achievable. Start by considering your main goal and how much training you actually need to achieve it from where you are now. If you have a very specific role or job in mind, then you may only require a small course such as an IOSH or NEBOSH General Certificate to achieve it rather than a specialist course or Diploma qualification. In your present situation what are your strengths, weaknesses, opportunities and threats? This will help you to highlight which training to prioritise and begin devising a career roadmap. Consider where you want to be in the next 12 months and where you will go from there in the next 3-5 years. In relation to this, try to split your development into sensible short-term and long-term goals. What methods of learning work best for you? Remember that different courses provide different means of learning and becoming qualified. IOSH courses can be taken in a very short space of time with online exams included, NEBOSH are academic and have exams while vocational NVQs are assessed through submission of evidence gathered in your existing role through an online portal. How much time do you have available to study around work and personal commitments? Bear in mind that high level courses are typically long-term undertakings, so consider whether you will be able to allocate the study time they need. For example; a Certificate Course will take anywhere between 14 weeks to a year, while a Diploma course will require at least 18 months to 2 years of dedication. What previous training – if any – do you possess in the Health, Safety or Environmental management? Based upon what level it is you should be able to build upon it, giving yourself a reasonable chance of success and avoiding a frustrating difficulty curve. Having ambitious goals isn’t necessarily bad, but avoid jumping multiple qualification levels at once; it may do more harm than good to your confidence. If you are particularly interested in specific professional memberships, you can obtain additional assistance by looking at the membership schemes of IOSH (Health and Safety) and IEMA (Environmental management) as both professional organisations map their membership tables against preferred qualification achievements. Is there experience you should have prior to commencing SHE e-Learning? While there are no formal requirements, there are certain things which are recommended regardless. Basic experience and confidence in use of computers and online services is needed to make the most of SHEilds e-Learning and its features. In addition, it will be of benefit choosing a qualification which reflects and builds upon your existing workplace experience and training in some way. If you only have a small amount of applicable experience, then starting with a lower level course will vastly increase your chances of success while large amounts or prior qualifications in the same area may justify specialist certificates, Diplomas or NVQs. At what point does NEBOSH training require renewal? If you are already NEBOSH qualified you may be wondering; at what point does NEBOSH training require renewal? NEBOSH training is valid for 5 years from the date of passing the exam. However, it is expected that at this level, students are in a CPD programme of continual improvement and as such will update their IOSH membership accordingly. How relevant is professional knowledge that’s several years or more out of date? If you have previous training in the field you may wonder; how relevant is professional knowledge that’s several years or more out of date? Previous professional knowledge is important, but it’s vital to understand that the Health, Safety and Environmental management industries are very dynamic and can change suddenly in line with new legislation. As such staying up to date with related developments following qualification is strongly advised. The building blocks of procedures and processes may not change much, but the information, legislation and reporting framework required to fill industry roles and be compliant may have been updated and changed. A professional membership with IOSH and/or IEMA may help in this regard, keeping you updated with industry information that is current and relevant. 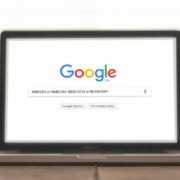 Besides this, there are a wide variety of areas you might concentrate on and become an expert in, however no two business industries are the same. Some skills may be transferable, but others may not as they are specific to the industry such as food manufacture or the Oil and Gas. Always keep in mind what areas of knowledge are broadly applicable and which require new training for different roles. What is your best course of action following graduation? What is your best course of action following graduation? While you might set exam success as your immediate goal, career development and planning shouldn’t end there. An SHE qualification may substantially improve your prospects, but to make the most of it a proactive attitude is recommended. Following successful completion of an e-Learning course, try reflecting on the experience and skills you have learnt, considering practical applications to your workplace and long-term career. Managing a career development plan, committing to keeping knowledge up to date and maintaining a career professional development (CPD) Record will serve you best in this regard. For the latter item try to make an entry at least every month/6 weeks as being disciplined will keep you focused and your experience industry relevant. If you plan to take development through training further, you could take a more advanced or specialised qualification than your most recent. For example, a NEBOSH Diploma following a Certificate or a certificate more focused on a certain area of industry such as construction or fire safety. Alternatively, there are other routes you might consider such as a degree or a masters course; NEBOSH have links with universities in the UK that can help with this, while Masters (MSc) or Masters (MRes) in research are available as eLearning courses. Other means of enhancement include professional memberships you may be eligible for such as OSPR, IOSH, IIRSM or other specific industry professional bodies – CSCS Card scheme or similar. Making contacts with other professionals in the industry and networking with others by attending branch meetings, joining media groups and like will also be likely to help further your reputation. Exactly how can careers benefit from SHE Qualifications? Exactly how can careers benefit from SHE Qualifications? For starters, many employers in relevant roles look for these qualifications in potential future staff. If staff have a background in Health and safety – no matter how basic – it can be built upon and expanded. Every industry should include Health and Safety management to some degree, from voluntary sections, through to high level Management jobs and education/training roles. IOSH – Regular updates, networking events, CPD, information sharing and IOSH membership are what employers often look for in the Health and Safety sector. IEMA – As above. 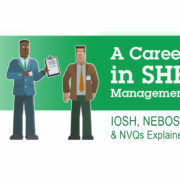 IEMA have recently affirmed their partnership with NEBOSH and this is the environmental equivalent of IOSH. 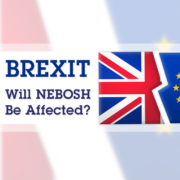 NEBOSH – A worldwide recognised examining body. It is valued due to how strict they are and the work that is required to achieve these units. NVQ – These demonstrate a working knowledge and understanding of the subject matter as NVQs are evidence based, the collection of which is undertaken through existing work. Remember that your qualifications can grow with your career experience and assist with future promotions or direction. IOSH, NEBOSH and NVQ qualifications are set up in a way that enables learners to progress their training alongside their career. Examples of such progression might be an IOSH Working Safely followed by an IOSH Managing Safely qualification, which you could in turn follow with a NEBOSH General Certificate. Either during this period or after there are also NEBOSH, Fire, Environmental, Construction and Oil & Gas certificates to move onto, the next step likely being a NEBOSH Diploma or Level 5 NVQ Diploma. Remember, professional bodies such as IOSH not only offer courses, but also offer members the chance to reach chartership and be mentored by others with more experience, along with recording of their professional development and planning. They also offer members other benefits structured in a way to compliment certificated courses. 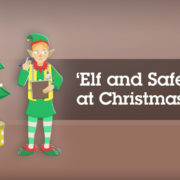 Why are SHEilds a preferable choice for Health, Safety and Environmental e-Learning? Health, Safety and Environmental e-Learning has seen massive expansion in the past few decades as our workplaces have become more conscientious. At present the field is far more crowded than when SHEilds pioneered its first courses twenty years ago. 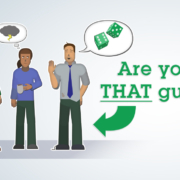 You might ask; why are SHEilds a preferable choice for Health, Safety and Environmental e-Learning? First and foremost, we’re a name you can trust. While offers of SHE training aren’t uncommon around the internet it’s important to be wary of shady startups and subpar courses. We are accredited by IOSH, NEBOSH and ProQual with continually updated course materials and a team of professional tutors on hand for support. Unknown providers might try to offer you a deal ‘too good to be true’ but the chances are that this is literally the case. With SHEilds you can rest assured that our services are built from the ground up to meet professional requirements and lead you to a legitimate qualification. We became the largest NEBOSH course supplier in the world through many years of providing e-Learning based courses. We’ve been there since the start and we’ve been evolving and bettering students in new ways ever since. Besides this we also pride ourselves on being a truly global provider, with key offices based in the UK, UAE and South Africa helping students around the world choose courses that work for them. Our tutors and assessors meanwhile have experience in the work place applying Health and Safety in many varied industries. They are easy to approach and passionate about supporting the learners in ways tailored specifically to the individual. Your success is our mission and we are here to make sure your career goals become a reality. If you need to know more or have unanswered questions our friendly course advisor team is here to answer and find a path that works for you. Contact them through our LIVE CHAT tab immediately or use our contact page for further details.